MembershipDo you qualify for FAME Membership? MeetingsSave July 10-12, 2019 and join us at the Eau Palm Beach. 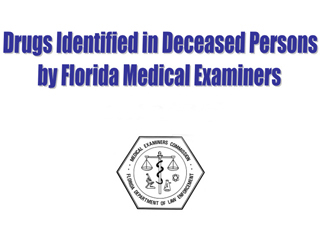 The District One Medical Examiner is seeking multiple Medicolegal Death Investigators to perform technical investigative work in cases of unexplained or unattended deaths in Escambia, Santa Rosa, Okaloosa and Walton County. Work involves examining physical evidence at death scenes, interviewing witnesses, and advising next-of-kin or other parties of deaths. Investigators are also responsible for photographing evidence, preparing investigation reports and providing testimony. Work requires cooperation with other investigators, deputy sheriffs, line supervisors, other law enforcement agencies and the general public. 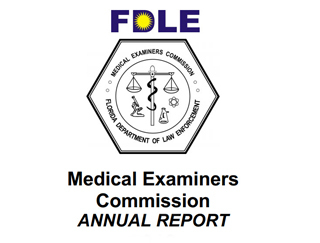 Please note that employees of the District Twenty Medical Examiner are not county or state employees and do not qualify to receive Florida retirement benefits, but full-time staff receive benefits, which includes health insurance paid by the employer at 80 %, retirement, paid time off and paid holidays. The salary range for Technician 1 is $15.00 to 17.00 an hour, depending on experience. Overtime pay provided for time worked over 40 hours within the same workweek in accordance with state and federal laws. 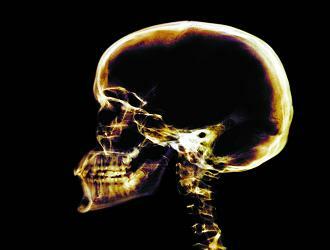 take x-rays, as needed, and post-autopsy cleaning of the autopsy area. One night minimum deposit is required at the time of booking. Note: there is a 3 day cancellation requirement for a full refund of the deposit. 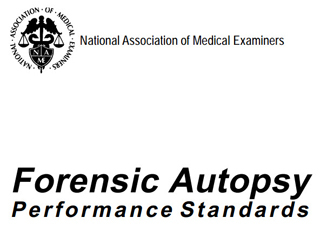 The Florida Association of Medical Examiners, otherwise known as FAME, is committed to uphold excellence in the practice of forensic pathology for the public interest. 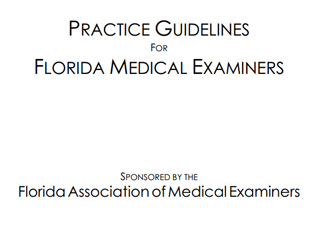 FAME strives to unify Florida's twenty-four medical examiner districts by providing networking opportunities, an atmosphere for professional development and a forum to discuss solutions to both professional and administrative issues that face district and associate medical examiners daily.